Includes a M&M tank mini-dress with the candy character face on the front. 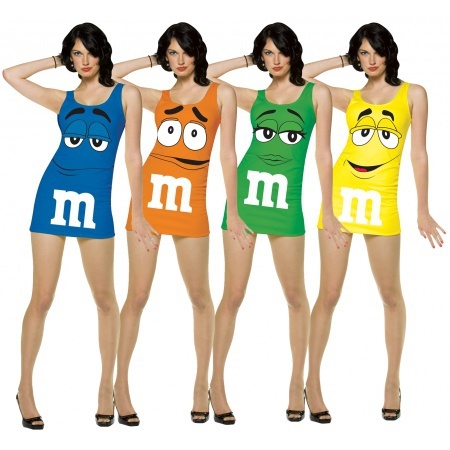 Choose your M&M dress from yellow, blue, green or orange. The m&m costume dress comes in adult size Standard. This m&m costume dress is an officially licensed M&M's costume. 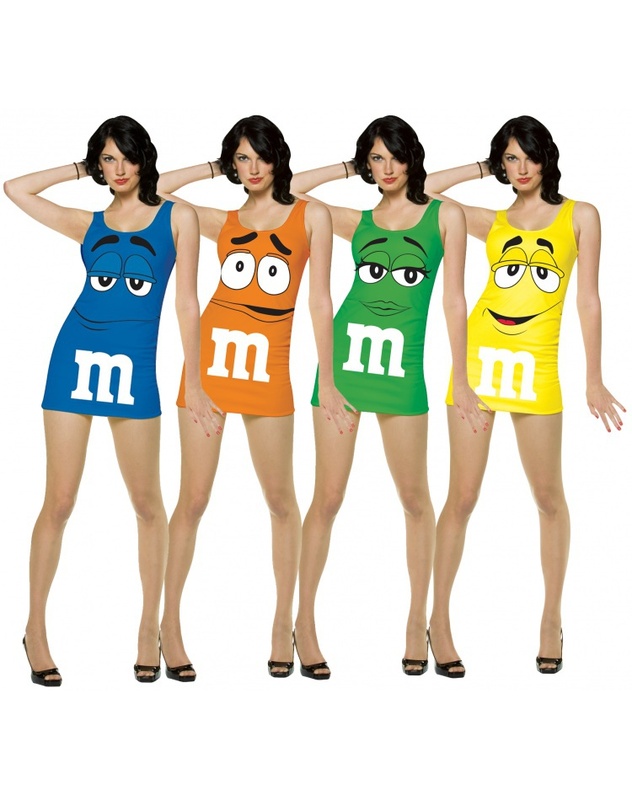 This M&M costume for women is available in a variety of colors. Collect them all! Say hello to Blue. Confident and clever, the party doesn't start until Blue walks in.